Any unmaintained database will be accumulating problems in one or more areas, which can eventually lead to poor application performance or even downtime, data loss and file corruption. When referring to computer program, housekeeping is a term used to describe the optimization of database. It commonly involves removing old or unused files and data, backing up, or running disk utilities such as a ScanDisk, Defrag, or simply an antivirus scan. 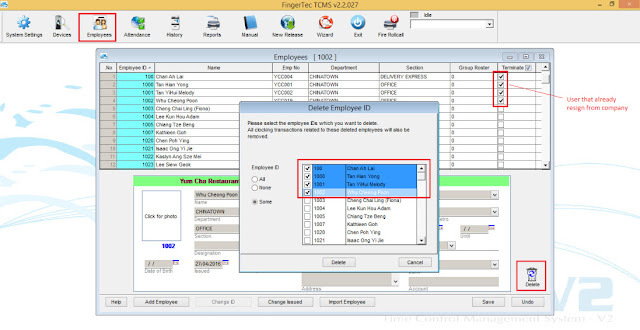 In this article, we will explain how to maintain the database and demonstrate some simple ways to manage and do housekeeping on TCMS V2’s database to keep the system organized and to ensure that it runs properly. It is advised for this routine to be performed at least six months once. 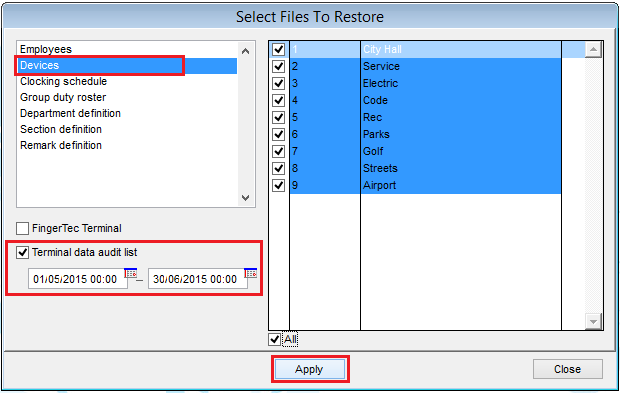 the database at System Setting > Backup/Restore Database > select Backup > Apply. You can also refer to the article in the link here. 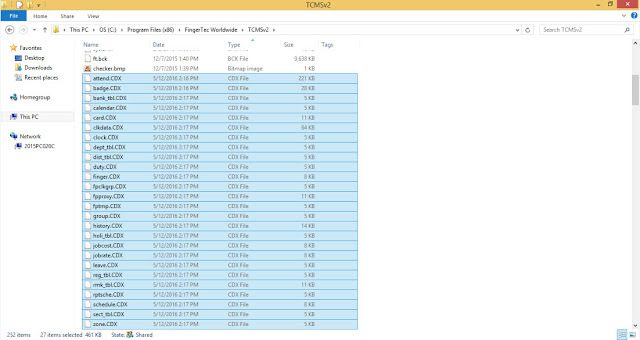 named Attend.DBF, History.DBF, Clkdata.DBF, and Fptaudit.DBF to another folder. 3. Replace a new fptaudit.dbf from here into the TCMSv2 folder. database backup again after you finish generate. Kindly take note, by following these housekeeping steps, you can minimize the database size. If you need to view the transaction log that has been deleted, you can restore back the database file and retrieve User record and Transaction log by using the Restore Option features. and Employee Management > select Employee you want to restore > Apply. to view all the transaction log again. if i format the pc, but not backup program file, got possibility for get the data? For your info, without the backup database file, you cannot retrieve back all the data from the previous system if you format the PC. Sorry for any inconvenience cause. TQ for the information Mr. Sharul Azmi Natnan.. Regarding to your query, you can follow the instruction from above article on how to manage and removing the old database from TCMSv2 software to keep the system organized and runs properly. Please take note to backup the database file before you proceed to do this housekeeping. Regards.